NPR correspondent Eric Weiner tells us why Canada's one of his favorite summer road-trip destinations. Then author Simon Winchester discusses the growing importance of the Pacific Rim nations, and why the Chinese navy is making some of its neighbors nervous. And tour guides from Slovenia share tips for planning a relaxing getaway to their small country "on the sunny side of the Alps." Eric Weiner writes for the BBC Travel website on what Canada has to teach the rest of the world about being human. You'll find information about Eric Weiner’s latest book, "The Geography of Genius," on his website. Holiday guide to the Eastern Townships of Quebec. The full title of Simon Winchester's latest book is "Pacific: Silicon Chips and Surfboards, Coral Reefs and Atom Bombs, Brutal Dictators, Fading Empires, and the Coming Collision of the World's Superpowers." You can follow the progress of the Polynesian sailing vessel Hokule'a as it sails up the East Coast of the United States, on its round the world voyage. Lake Bled-based tour guide Tina Hiti's website is called PG Slovenia. 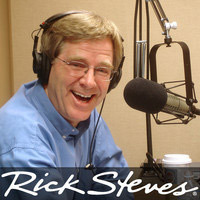 There's a short personal interview with Anja Cuznar in the tour pages of the Rick Steves website. Travel planning and events are listed on the Slovenian Tourist Board website. Another list of this year's major festivals in Slovenia. The smaller town of Ptuj is the oldest city in Slovenia. Rick's phone video from his guided excursion into underground Nuremburg.